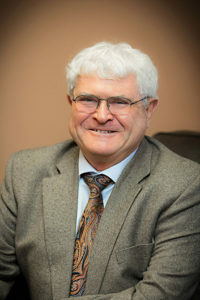 When we work with your family, you will probably hear us use the term “Age and Stage” to describe part of the process we use to build and implement your financial plan. While folks may be at different stages at the same age or the same stage at different ages, it is important for your advisors to understand where you are at any given time as it might impact the structure of your investments. Our daughter Tina and her husband Jason have blessed us with two grandsons. Levi, the oldest grandson, told my wife, Connie, that he wants to be pen pals (that’s not the term he used, but you get the picture). Because of this, we have rediscovered the world of snail mail. Both boys love going to their mailbox and finding mail from Grammy. 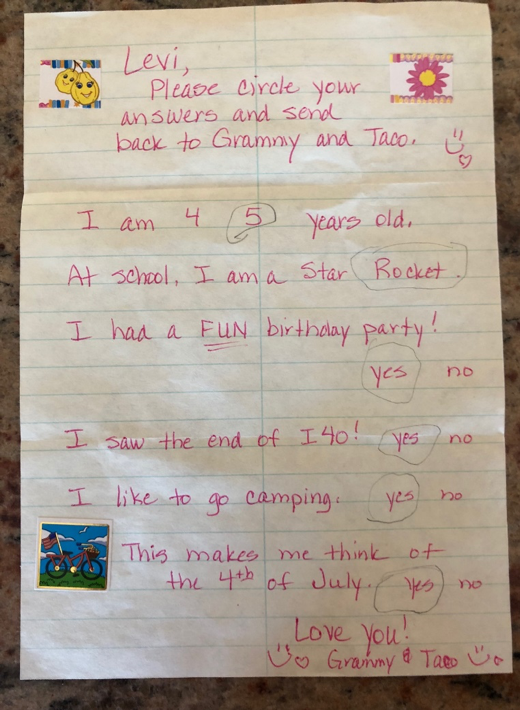 Connie, a former first grade teacher, is using the mail exercise to challenge the young boys (ages two and five) to think and respond proactively. Attached is a photo of one of the questionnaires she sent with Levi’s responses. Understanding the priority of spending time with the next generation is part of the stage of life we enjoy now. Creating a financial strategy that allows you the ability to choose how you spend your time is one of the special things we love to do when serving your family.